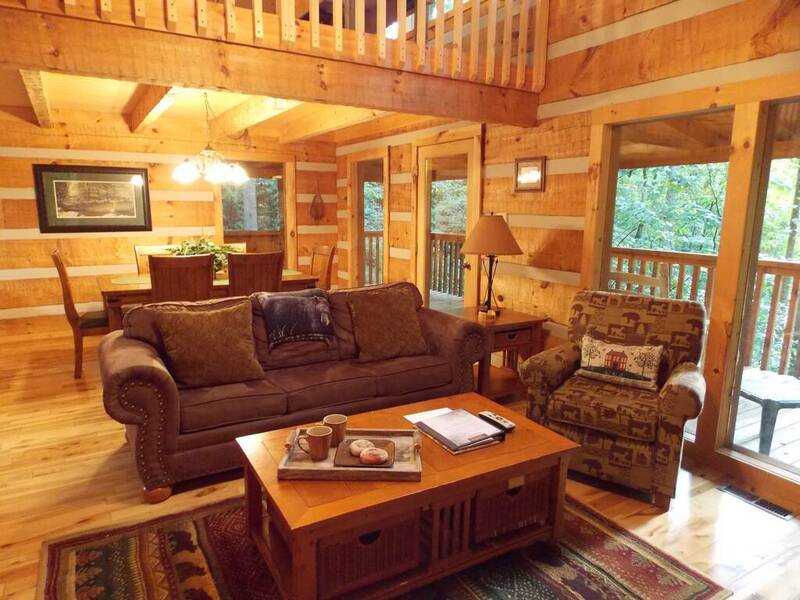 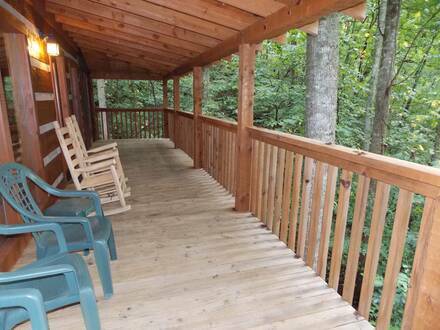 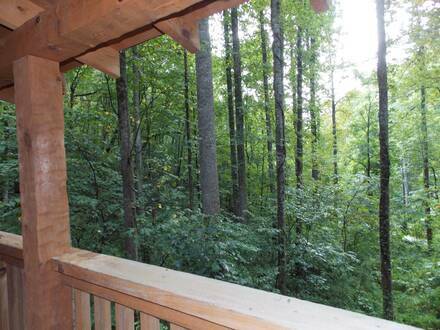 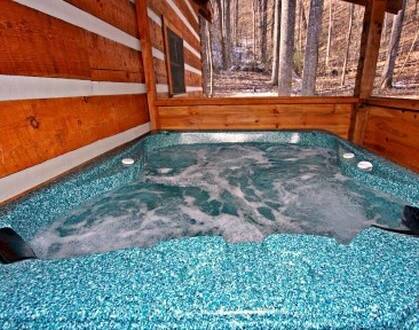 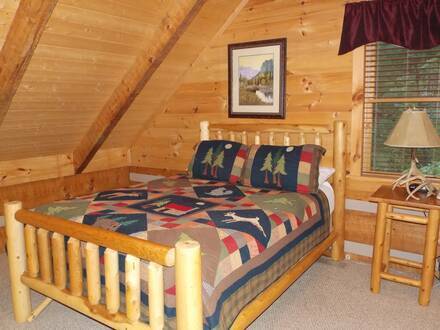 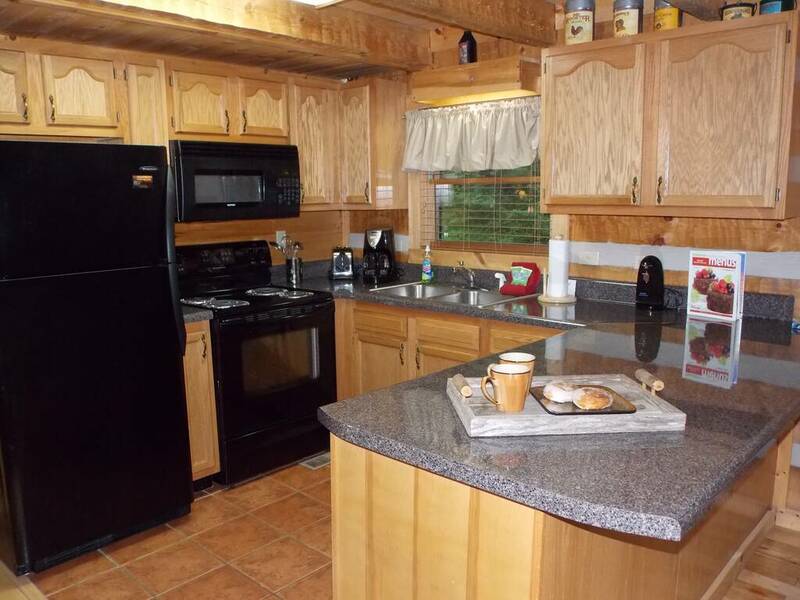 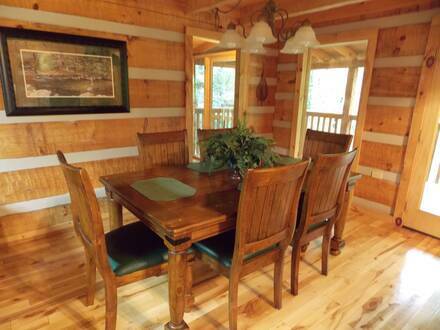 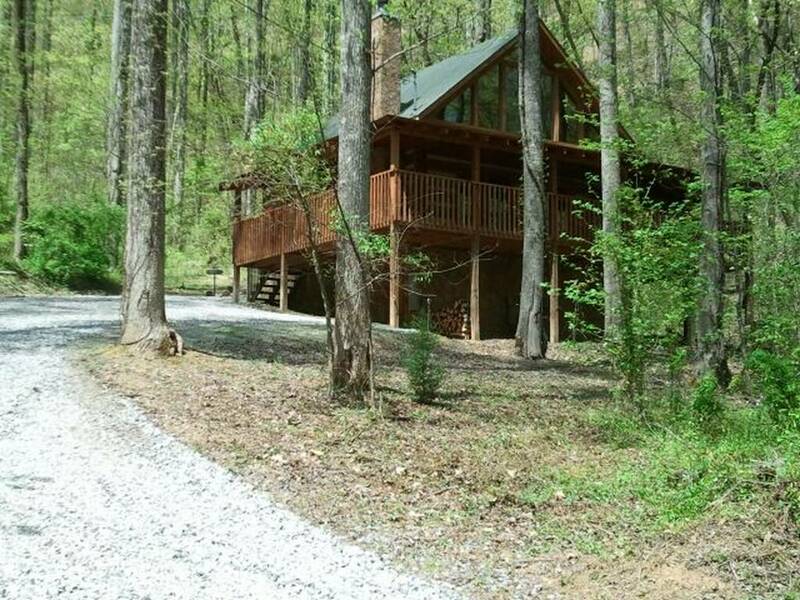 Bearly Visible is a beautiful 2 bedroom log cabin neatly nestled under the forest canopy! Bearly Visible is perfect for your vacation or getaway! 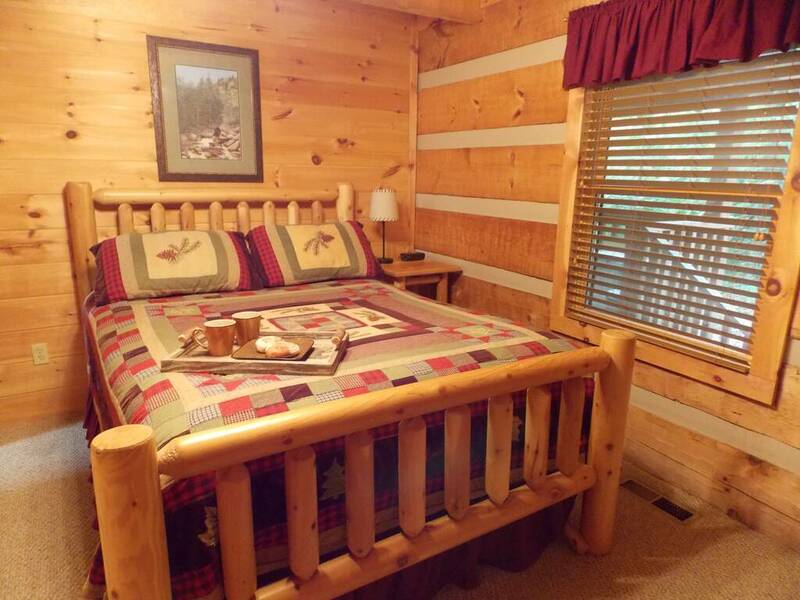 Featuring a stone accented fireplace, exposed beams, log bedding, air hockey, Wi-Fi, high definition TVs, screened porch, outdoor hot tub and so much more! After a long day of enjoying the local attractions, spend a relaxing evening on the screened-in back deck, soaking the day away in the four-person hot tub. 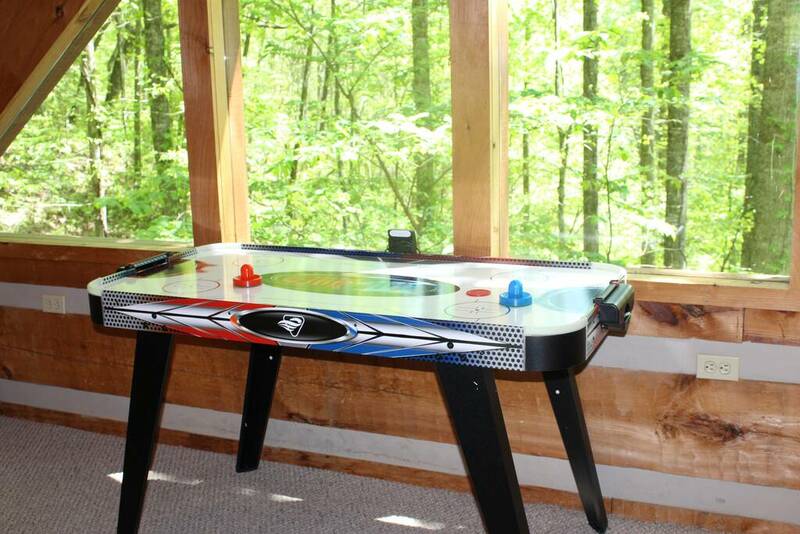 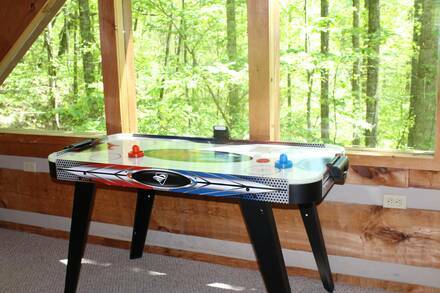 If you are in for a little friendly competition, you can head upstairs to the air hockey and poker tables. Or maybe you prefer to curl up on the shady porch with a hot cup of coffee (or a cold beverage), and just enjoy the mountain sounds and scenery. 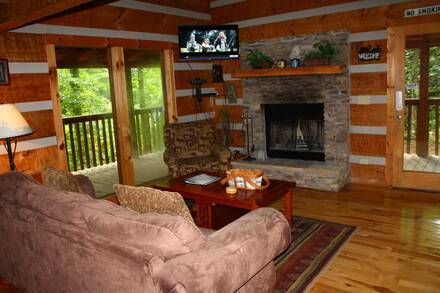 Whatever you have in mind for a great stay, Bearly Visible is the perfect place for your Smoky Mountain getaway! Your stay also includes a free pancake breakfast for each guest! Call today to reserve your stay or book online!